Shortly after Blue Bell Ice Cream returned to grocery stores, a new voluntary recall was issued by the company due to a risk of Listeria monicytogenes. According to the Centers for Disease Control and Prevention (CDC), Listeria monocytogenes is acquired by eating contaminated food and is extremely dangerous for frail or elderly people, young children, and individuals with compromised immune systems. Pregnant women who consume products tainted with Listeria may risk infection leading to stillbirths or miscarriages. According to the recall notice, the affected ice cream products were made using a chocolate chip cookie dough ingredient supplied by Aspen Hills, Inc. Products affected include Blue Bell Cookie Two Step and Blue Bell Chocolate Chip Cookie Dough. Full product codes are located at the Blue Bell website press releases section. These ice cream products were distributed in Virginia, Tennessee, South Carolina, North Carolina, Mississippi, Louisiana, Kentucky, Georgia, Alabama and Florida. Consumers should return them for full refunds. Blue Bell’s website also includes contact information for consumers: “We continue to work closely with our regulatory agencies, and we remain committed to ensuring we are producing safe products for our consumers to enjoy.” Consumers with questions are advised to call (979) 836-7977, Monday – Friday 8 a.m. – 5 p.m. CST. This new recall by Blue Bell Creameries follows the 2015 Listeria outbreak, which resulted in three deaths and a withdrawal of Blue Bell products from the market. Although several production facilities were closed, the company returned to business by the end of the year. Mr. Zambri has been successful in litigating food poisoning cases. He is knowledgeable and experienced in handling the unique complexities involved in food poisoning litigation. 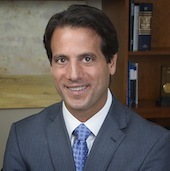 A seasoned product liability attorney, Mr. Zambri has consistently been named in the Super Lawyers® magazine and has been recognized as one of “The Best Lawyers in America.” As the author of a widely renowned book on product liability litigation, he is a sought-after speaker who regularly shares his knowledge at seminars.